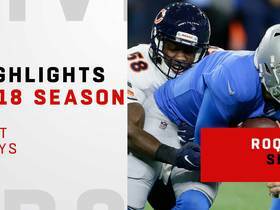 The Bears rank fifth in the league with 46 sacks. They play the Vikings in Week 17. The Bears have recorded 11 sacks over the last three games. They play the 49ers in Week 16. The Bears lead the league with 34 turnovers. They play the Packers in Week 15. The Bears allowed 30 points to the Giants in Week 13. They play the Rams in Week 14. The Bears lead the league with 29 turnovers. They play the Giants in Week 13. The Bears have allowed 22 or less points in each of their last four games. They play the Lions in Week 12. The Bears have forced 20 turnovers in the last seven games. They play the Vikings in Week 11. The Bears have forced at least three turnovers in each of the last five games. They'll play the Lions in Week 10. LB Khalil Mack continues to nurse an ankle injury ahead of Week 9's game against the Bills. DE Khalil Mack is nursing an ankle injury ahead of the Bears' Week 8 game against the Jets. 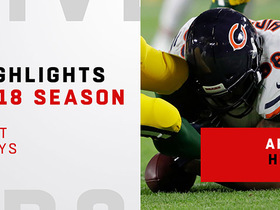 The Bears lead the league with 14 forced turnovers. They play the Patriots in Week 7. 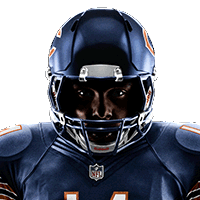 The Bears rank second in the league with 294.5 yards allowed per game. They'll play the Dolphins in Week 6. 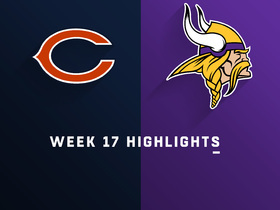 The Bears rank fifth in the league with 289 total yards allowed per game. The Bears beat the Seahawks 24-17 in Week 2. They'll play the Cardinals in Week 3. The Bears' defensive starters will all be healthy for Sunday's game against the Vikings. SS Adrian Amos (hamstring) will play Sunday against the Browns. Analysis: Amos has missed the last four games, but in the eight games before sitting out, he produced a solid seven tackles per game. As always, this is a favorable matchup for the Bears, since the Browns lead the league with 36 turnovers, including eight in the last three games. The Bears steady stream of forced turnovers provides them a solid floor going forward, especially as they have kept their last two opponents under 300 total yards. This unit should be considered a top stream in championship week. SS Adrian Amos continues to battle a hamstring ahead of Saturday's game against the Lions. 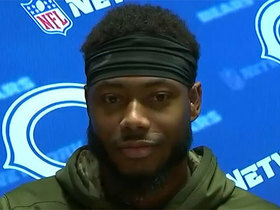 SS Adrian Amos is dealing with a hamstring injury ahead of Sunday's game against the Bengals. LB Danny Trevathan continues to deal with a calf injury ahead of Sunday's game against the 49ers. Analysis: Trevathan specializes in the run stop, but 49ers RB Carlos Hyde isn't necessarily an imposing threat. What's most uncertain about this matchup is QB Jimmy Garoppolo making his first start of the season. Garoppolo looked solid in both of his starts for the Patriots last season, completing 71.2 percent of his throws for 496 yards, four touchdowns and zero interceptions. Still, the Bears secondary stacks up well against the 49ers receivers, making Chicago D/ST a bubble option in Week 13. LB Danny Trevathan (calf) is doubtful for Sunday's game against the Eagles. LB Danny Trevathan is dealing with a calf injury ahead of Sunday's matchup with the Lions. LB Bryce Callahan is nursing a calf injury ahead of Sunday's matchup with the Packers. 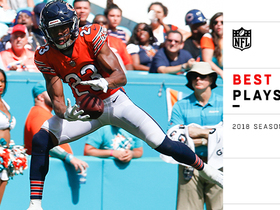 Watch the best plays from Chicago Bears cornerback Kyle Fuller from his 2018 season. 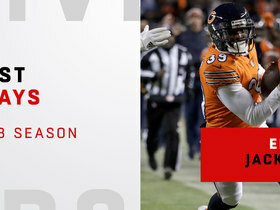 Watch Chicago Bears safety Eddie Jackson's best plays of the 2018 season. 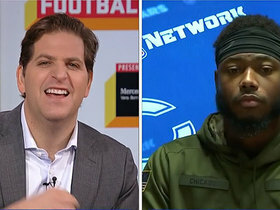 NFL Network's Stacey Dales has the latest injury updates for the Chicago Bears matchup vs. the Philadelphia Eagles. 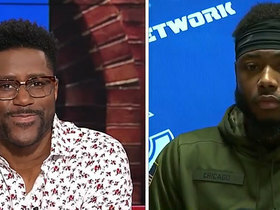 NFL Network's Stacey Dales catches up with Chicago Bears cornerback Prince Amukamara to talk about his team's upcoming playoff matchup with the Philadelphia Eagles.